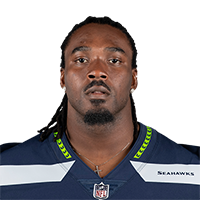 Scarbrough was signed by the Seahawks on Tuesday, Daniel Popper of The Athletic reports. Analysis: The Seahawks were able to obtain Scarbrough from the Jaguars' practice squad, as the former seeks additional help in the backfield with rookie Rashaad Penny dealing with a knee injury. Seattle has been exceptional on the ground this season, but Scarbrough doesn't figure to see much run with starter Chris Carson at full strength. There are no videos available for Bo Scarbrough. Click here to view all videos.